CD 16 track (63min.) in 6-side digipack with 16-page photo booklet. The northern Portuguese Sangre Cavallum return with a new and outstanding folk album. It is titled ?Veleno de Teixo? meaning Yew Poison and it is a collection of tributes to women and to the cult of mother-goddess in pre-Christian era. "Veleno de Teixo" contains a brand-new set of 16 powerful songs between pagan folk and power-psych atmospheres. Inspired by the music and ethnography of their homeland Callaecia/northern Portugal. It is laboriously produced, capturing the revolutionary minds of these musicians. Among many traditional instruments they play the hurdy-gurdy, bagpipes, flutes, folkloric guitars, war-drums and many times these acoustic instruments are transformed with heavy distortions and meet the psychedelic bass and vintage guitars. 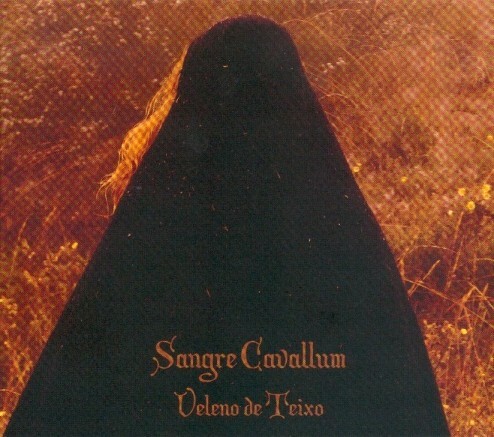 Customer evaluation for "SANGRE CAVALLUM - Veleno De Teixo CD (2007)"